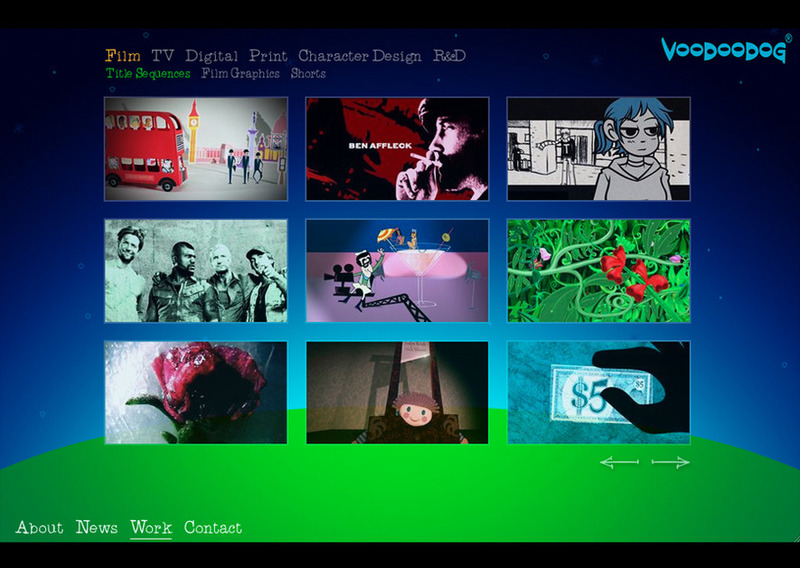 VooDooDog is an award winning creative studio based in London. Founded in 2003 we have a strong heritage of working in motion graphics and animation with clients including Universal, Columbia, Fox, HBO, New Line Cinema and TV Studios such as Sky, Channel 4 and the BBC. In 2009 we started offering web development and design services to clients bringing our experience of cutting edge animation and graphic techniques to the web platform. Since then we have worked with advertising agencies and brands directly to deliver messages online in a friendly and interactive format across a variety of platforms including web, mobile, iPhone, youtube, facebook and many more. Our combination of a skilled and creative art department with a collection of highly experienced web programmers has allowed us to take web development in a new creative direction. For our latest credentials and showreel please contact us. This is the latest VooDooDog portfolio website. Designed and developed in-house and powered with our enterprise CMS of choice, Umbraco.